HomeBlogDo you Have Inflamed or Bleeding Gums after Flossing? Find out the Correct and Safe way to Floss. Do you Have Inflamed or Bleeding Gums after Flossing? Find out the Correct and Safe way to Floss. Most of us are aware of the importance of brushing our teeth twice a day. However, brushing alone will not remove plaque and clean your teeth properly. Flossing is an essential part of oral hygiene maintenance that many people seem to neglect. You should floss your teeth at least once a day to remove the plaque from the areas between your teeth and your tooth brush cannot reach. The reason for your gums bleeding when you floss could be an indication that you have a gum disease. Signs of gum disease are usually when the gums get inflamed and start bleeding very easily. Another reason could be that you are using too much force while flossing. The correct way to floss is to use a gentle sawing motion while trying to ease the floss between the teeth. Never snap the floss into the gums. Once it passes the contact area, you should curve the floss into a C-Shape against one tooth and gently slide it into the space between the gum and the tooth. 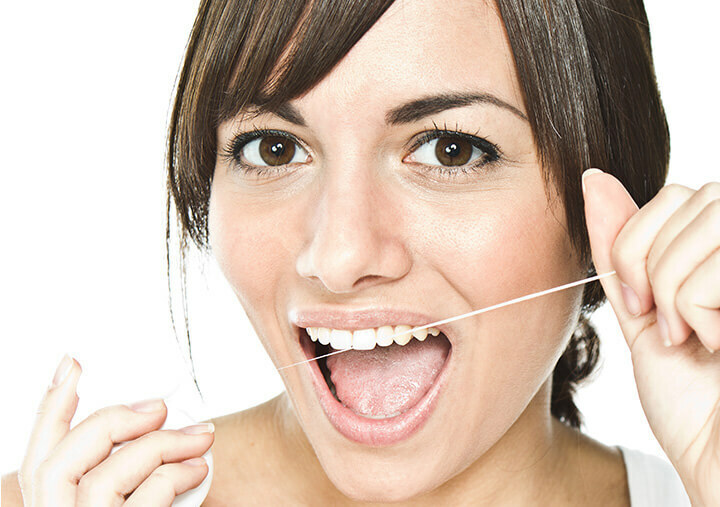 Use up and down motions pressing the floss tightly against the tooth surface. Do the same for the rest of your teeth including the backside of your last tooth. If your gums continue to bleed even after correct regular use of the floss, then it is advisable that you meet a dentist to examine your gums and rule out any gum disease. To book an appointment in a Dr Joy Dental Clinic, please call one of our branches today. Previous post: Are Electric Tooth Brushes Better or Should I Stick to a Manual One? Next post: Can My Teeth Be Reshaped to Look Smaller and Less Obvious?